It’s hard to tell you how much I love the music of Herman Parker, Jr., better as known as “Junior Parker” (1932 — 1971), who died at a tragically young age of a brain tumor. He was a great vocalist, harmonica player, and songwriter. Today, he’s probably best known for the Grateful Dead’s desecration of his iconic “Next Time You See Me,” which done right (that is, relaxed, behind the beat, punchy on the stops) is one of the most enjoyable songs to play ever written. Junior wrote and recorded prolifically during his tragically short life. His recordings are marked by a very high level of musicianship. a hard-edged but smooth sound that was a mix of Chicago-style, jazz-blues, and R&B; and, oh yeah, he wrote dozens of wonderful originals. The best compilation of his tunes/performances is the long-out-of-print and now way overpriced “Junior’s Blues.” But buy damn near any of the collections, and you´ll be pleasantly surprised. People are scared shitless of my neighborhood. In one way I understand it, in another I don’t. It’s about 70% Mexican, 15% black, 15% white. The median income is probably about half the national average. I’m the only one on the block–worked my way through it in the ’70s–with a college education. There’s graffiti on most exposed walls. Cars up on blocks in front yards. Occasional gun shots at night, mostly semi-auto. And my pal Dewayne thinks it’s “paradise.” So do I. Why? The remarkable lack of racial animosity. Dewayne grew up in Cleveland, I grew up in a bad part of Phoenix, and I lived for over a decade in one of the worst parts of San Francisco. Racial and ethnic animosity were a given. And constant fear and hyper-vigilance–always looking over your shoulder, always ready for violence. Here, no. I feel safe. Dewayne feels safe. The neighbors know each other, and we watch out for each other. Here, in Tucson’s Keeling Neighborhood (“It’s not as bad as it looks”), we do. Welcome to paradise. President of Brennan Center for Justice examines the history of the Second Amendment. How Much Do You Love Your ‘Hood? Like Jazz, Be Bop, and Rock n’ Roll, Funk acquired its name from a slang expression with sexual connotations. In musical terms, it originally meant anything that was off the traditional path or something that was “funky,” especially in the sense of being syncopated. Some of the earliest forms of Funk began in the city that gave birth to Jazz, New Orleans. Along with New Orleans native Fats Domino, one of the most influential musicians to contribute to the genre is piano player Henry Roeland “Roy” Byrd, popularly known as “Professor Longhair.” His style combines the sounds of early Rock n’ Roll and Blues with Afro-Cuban-influenced New Orleans Second Line. In the 1950s, another primary precursor of Funk arose—Soul Music. It combined elements of Rock n’ Roll and Rhythm & Blues, with Ray Charles being among the first prominent Soul performers. Near the end of the decade, another artist appeared who would become the driving force of Soul/Funk music for over 40 years: James Brown, “The Godfather of Soul.” Brown created driving dance music which combined advanced musicianship with the syncopated and displaced rhythms which have come to characterize Funk. (This refers to “displacing” one of the snare drum strokes on beats 2 and 4 to the “and” of one of those beats.) Brown’s prominent bass players include Bernard Odum, William “Bootsy” Collins, Fred Thomas, and Ray Brundridge. In 1960 in Detroit, Motown Records, founded and run by Berry Gordy, composer of “Money,” helped create what is now called “the Motown sound.” Prominent bassists who recorded on the Motown label included James Jamerson and Bob Babbitt. They and other session musicians, informally known as the Funk Brothers, played on hundreds of recordings by different artists, without credit and with scanty financial compensation. Jamison, Babbitt and other Motown session musicians performed on more number one hits than the Beatles, Rolling Stones, Beach Boys, and Elvis combined, yet they benefited little from their string of hits. The other prominent Soul label at the time was Stax, whose recordings often featured bassist Donald “Duck” Dunn. By the mid-1960s, through the influence of James Brown, Stax, and Motown Records, the Soul style had become firmly established. Straight time, syncopated rhythms, conspicuous bass lines (utilizing offbeat eighth and/or sixteenth notes, often made prominent through staccato playing), displaced snare drum notes, percussive horn arrangements, and reliance on the blues scale all emerged as defining sounds of Funk—characteristics that remain to this day. As the sixties came to a close, several bands latched on to the infectious energy of Funk, with Sly and the Family Stone taking it into the pop mainstream. In addition to Sly Stone’s song writing, the group relied on bass lines devised by one of the most important musicians of the Funk style, Larry Graham. Graham almost single handedly changed the way electric bass guitar was played, as his slap and pop technique propelled the bass to the front of Funk ensembles. By the early 1970s, Funk had become popular around the globe. Along with Graham and Sly and the Family Stone, Dr. John, the Meters, and later the Neville Brothers (with the latter three bands featuring bassist George Porter, Jr.) helped mature the sounds of Funk as it became ever more popular. During the rest of the decade, Funk continued to blossom through the success of artists/groups such as War, Tower of Power, Curtis Mayfield, George Clinton and Funkadelic, Earth, Wind and Fire, The Commodores, The Ohio Players, Stevie Wonder, Barry White, The Brothers Johnson, and The Average White Band. By the 1980s, Funk’s popularity had begun to diminish, even though the grooves of the Funk rhythm section had made their way into pop music through artists such as Prince, Michael Jackson, and Kool and the Gang. Even Rock bands of the past three decades have relied on Funk concepts, Dave Matthews, The Red Hot Chili Peppers, and Primus being prominent examples. Hip Hop and modern R&B have also borrowed heavily from the rhythms and grooves of traditional Funk. Today, the sounds and ideas of Funk pervade all popular music to such an extent that it has become an essential style for the working bassist. New Orleans Funk bass playing stresses rhythmic accuracy. Although the bassist’s notes are sparse, the painstaking accuracy of the notes’ placement creates an infectious and conspicuous bottom. The pioneers in this style include bassists Billy Diamond, Frank Fields, and later Will Harvey, Jr. The current most prominent New Orleans Funk bassist is George Porter, Jr., who is the bassist for the Neville Brothers and The Meters, and who has appeared on recordings with Dr. John, Jimmy Buffet, David Byrne, Robbie Robertson, and Paul McCartney. Other notable musicians in this genre include Professor Longhair and Dr. John. Motown, a sub-genre of Funk and Soul music, is associated with Motown Records, (founded by Berry Gordy in 1960 in Detroit). It was the first label owned by an African-American, and featured artists who crossed over to the pop charts. Artists such as Smokey Robinson and the Miracles, Stevie Wonder, Marvin Gaye, The Supremes, The Four Tops, The Temptations, Jr. Walker and the All Stars, and many more all played and recorded with one bassist: James Jamerson. Motown’s main competitors, Stax, Volt, and Atco records, and their distributor Atlantic Records, produced hits from 1959 through 1968 using their own studio house band, Booker T and the MG’s, with bassist Donald “Duck” Dunn. Dunn’s lines were somewhat similar to Babbitt’s, with perhaps a bit less syncopation than Babbitt employed. Artists in the Stax roster included Otis Redding, Sam and Dave, Issac Hayes, Albert King, Wilson Pickett, King Curtis, and The Staple Singers. Overall sonically and rhythmically similar to the bass lines in Motown, the bass lines in the Atlantic recordings were derived from R&B. Since Stax and Motown bass lines are quite similar, they are both included in this section. The primary distinction is that Stax lines are more repetitive than those in Motown, and are built predominantly from the Blues Scale, whereas Motown lines include non-Blues Scale notes and wander further afield harmonically. Early Funk basically covers the period between its origination by James Brown in the late 1950s and early 1960s and his stylistic shift away from progression-oriented songs and into one-and-two-chord vamp-oriented songs (Later Funk) in the late 1960s. “Cold Sweat” (1967) and “Say It Loud, I’m Black and I’m Proud” (1968), are landmarks in Brown’s shift in styles. Later Funk came in on James Brown’s coattails in the late 1960s and early 1970s. In that period, as rhythm became an even more important component of Funk, songs often used only one chord. Eliminating chord changes enabled Funk musicians to use more syncopation, often in the familiar two-part pattern. In this period, syncopation expanded from eighth-note syncopation to sixteenth-note syncopation. In addition, the tempo was often slower than in Early Funk. All of these factors contributed to bass lines emerging as the “hooks” of songs. Tunes such as “People Say” by the Meters, “Chameleon,” (written by bassist Paul Jackson, Bennie Maupin, Harvey Mason and Herbie Hancock), and “Cold Sweat” by James Brown, emphasize offbeat eighth and sixteenth notes. Generally, the faster the song, the more the bass groove relied on eighth notes, while the slower the song, the more the bass groove relied on sixteenth notes. Though not technically an established style, the term “Funk Rock” describes music that can be classified as Rock, but that incorporates elements from Funk, such as syncopated rhythms and percussive horn lines. Bands and artists such as Earth, Wind and Fire, the Commodores, Michael Jackson, the Red Hot Chili Peppers, and Sly and the Family Stone fall into both the Funk and Rock genres. As opposed to those in the other Funk styles, Funk Rock bass lines usually have fewer syncopated notes and place more emphasis on the beat. What distinguishes Funk Rock from Rock is that is still maintains a certain amount of syncopation characteristic of Funk music. (Excerpted from The Drummer’s Bible: How to Play Every Drum Style from Afro-Cuban to Zydeco, by Mick Berry and Jason Gianni. Every chapter begins with a brief history of the style covered; this is the introductory material to the Funk chapter. Like Jazz, Be Bop, and Rock n’ Roll, Funk acquired its name from a slang expression with sexual connotations. In musical terms, it originally meant anything that was off the traditional path or something that was “funky.” Some of the earliest forms of Funk began in the city that gave birth to Jazz, New Orleans. Along with New Orleans native Fats Domino (whose recordings featured the grandfather of Funk drumming, Earl Palmer), one of the most influential musicians to contribute to this genre is piano player Henry Roeland “Roy” Byrd, popularly known as “Professor Longhair.” His style includes the sounds of early Rock n’ Roll and Blues with the Afro-Cuban clave influence of New Orleans Second Line (featuring Earl Palmer yet again). In the 1950s, another primary precursor of Funk arose—Soul Music. It combined elements of Rock n’ Roll and Rhythm & Blues, with Ray Charles being among the first to bring this new style to prominence. Near the end of the decade, another artist appeared who would become the driving force of Soul/Funk music for the next 40 years. James Brown (“The Godfather of Soul”) created driving dance music which involved advanced musicianship utilizing the syncopated and displaced rhythms which have come to characterize Funk. 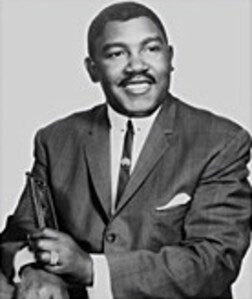 In addition, in Detroit, beginning in 1960 Motown Records helped create what is now called “the Motown sound.” Prominent Motown drummers include Richard “Pistol” Allen, Uriel Jones, and Benny Benjamin. The other prominent Soul label at this time was Stax, whose recordings often featured drummer Al Jackson, Jr.
By the mid-1960s, through the influence of James Brown, Stax, and Motown records, the style had become firmly established. Syncopated rhythms, displaced snare drum notes, and percussive horn arrangements all emerged as defining sounds of Funk and remain essential to the style today. Near the end of the decade, Funk music was further enhanced by the group Sly and the Family Stone, particularly through the innovative “slap” technique of bassist Larry Graham (later of Graham Central Station). By the early 1970s, Funk began to achieve worldwide popularity. Dr. John, the Meters, and later the Neville Brothers, helped mature the sounds of New Orleans Funk and brought it national exposure. During the rest of the decade Funk music blossomed through the success of artists/groups such as War, Tower of Power (with drummer David Garibaldi), Curtis Mayfield, George Clinton and Funkadelic, Earth, Wind and Fire, The Ohio Players, The Commodores, Stevie Wonder, Barry White, and The Average White Band. By the 1980s, Funk’s extensive popularity began to diminish, though the grooves of the Funk rhythm section had made their way into pop music through artists such as Prince and Kool and the Gang. Even Rock bands of the past 25 years have relied on Funk concepts, Dave Matthews and The Red Hot Chili Peppers being two prominent examples. Throughout the past three decades, the sounds of Hip Hop (see Hip Hop chapter) and modern R & B have also borrowed the rhythms and grooves of traditional Funk. Today the sounds and ideas of Funk pervade all popular music to such an extent that it has become an essential style for the working drummer. The patterns played by a Funk drummer range anywhere from the simplest Rock grooves to intricate rhythms matching those played by the rest of the band. Additionally, the feels in Funk span from relaxed and laid back (“behind the beat”) to intense and driving (“on top of the beat”). The primary components of a New Orleans Funk pattern are the repetitive accents derived from the “3” side of a Son clave rhythm (One and Two and Three and Four and) mixed with the march-style characteristics of a Second Line groove. The distinguishing feature of this style is the cyclical rhythm defined by the drums and augmented by the other instruments. Notable drummers include Earl Palmer (who incorporated street parade drumming into Funk), Idris Muhammad, James Black, Joseph “Zigaboo” Modeliste, Willie Green, John Boudreaux, Johnny Vidacovich, Herlin Riley, Ricky Sebastian, Stanton Moore, Raymond Weber (of Dumpstafunk), Herman Ernest, Chris Lacinak and Joey Peeble, drummer for the newest New Orleans legend, Troy ‘Trombone’ Shorty. Though easily interpreted in double time, the feel tends to be laid back and relaxed (with the eighth notes often played “in the crack”) The tempo range is quarter note = 152–208 bpm. “Displaced” refers to playing primary snare drum notes on counts other than the customary strong 2 & 4 back beats. Though creative and sometimes unusual, “displaced” patterns usually retain the repetitive feature of most drumming grooves. An innovative and complimentary pattern may not only be appropriate to a particular song, but can stand as a defining element of the song itself. Songs such as “Cold Sweat” (by James Brown), “People Say” (by the Meters), and “Chameleon” and “Actual Proof” (both by Herbie Hancock and Headhunters) are good examples of arrangements containing memorable Displaced Funk drumming grooves. Drummers of the classic James Brown era, such as Clayton Fillyau, Clyde Stubblefield and John “Jabo” Starks, the Meters’ Joseph “Zigaboo” Modeleste, Bernard Purdie, Harvey Mason, Mike Clark (especially on Herbie Hancock’s “Thrust” album) and drummers from the Neville Brothers, Stevie Wonder, and the Average White Band all explored the use of “displaced” rhythms. There is no standard Displaced Funk groove. The example and variations below are simply a practical approach to the style. Endless Displaced Funk variations are possible. However, it’s good to play at least one snare drum note on a standard back beat (2 or 4) so as not to lose the beat. Whereas New Orleans Funk is usually felt and counted in double time, the patterns in Displaced Funk are felt in 4/4. The tempo is medium at quarter note = 100–138 bpm. “Linear” describes notes that occur one after another in a “line,” with no notes being played simultaneously (that is, no limbs striking at the same time). This creates a lighter sound than the layered approach of Displaced Funk. The Linear approach tends to be quite busy, usually featuring 16th notes throughout an entire measure. Though these patterns can be found in standard Funk (e.g., early Meters recordings featuring Zigaboo Modeleste), they tend to be more prominent in the Fusion genre. Prominent Linear drummers include Billy Cobham, Alphonse Mouzon, Rod Morgenstein, Tony Williams, Mike Clark, and Dennis Chambers. As with Displaced Funk, there is no standard Linear Funk groove. The practical tempo range for Linear Funk is similar to that of Displaced Funk with quarter note = 100–138 bpm. “Ghost Note” refers to any note that is played very lightly, usually on the snare drum, and is indicated by parentheses surrounding a note. The desired effect is that the ghost notes be heard under the main sound of the groove. This produces a subtle 16th-note feel around a strong back beat or certain accents. As opposed to Linear Funk, the notes of these patterns fall in sync with one another to create a “layered” effect. Prominent Ghost Note drummers include Harvey Mason, Mike Clark, Bernard Purdie, Steve Gadd, and most notably David Garibaldi of Tower of Power. As with the previous styles, there is no standard Ghost Note Funk groove, though the patterns below are common. Ghost Note Funk patterns are more practical at a slightly slower tempo than those of the above Funk styles with quarter note = 92–126 bpm. Though not technically an established style, the term “Funk Rock” describes music that can be classified as Rock incorporating elements from Funk, such as syncopated rhythms and percussive horn lines. Bands and artists such as Earth, Wind and Fire, The Commodores, Michael Jackson, and Sly and the Family Stone could all be included in both the Funk and Rock genres. As opposed to the above Funk styles, Funk Rock usually has fewer ghost notes, a steady back beat, and an emphasis on bass drum displacement (syncopated bass drum, displaced from the standard strikes on 1 & 3). The practical tempo range for Funk Rock is similar to Ghost Note Funk at quarter note = 92–126 bpm.